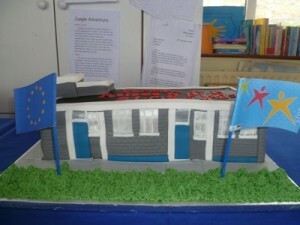 We were fortunate to receive our 5 year participation award from the Blue Star programme. 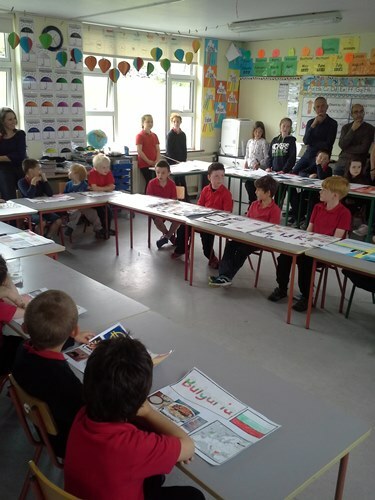 2 schools in Clare have received this award, our school and Scoil na Maighdine Mhuire in Newmarket on Fergus. On Friday 16th Dec, we travelled to Newmarket on Fergus to receive our award. 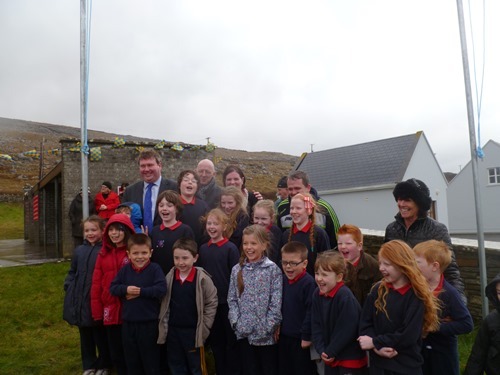 Minister Pat Breen presented us with our award. 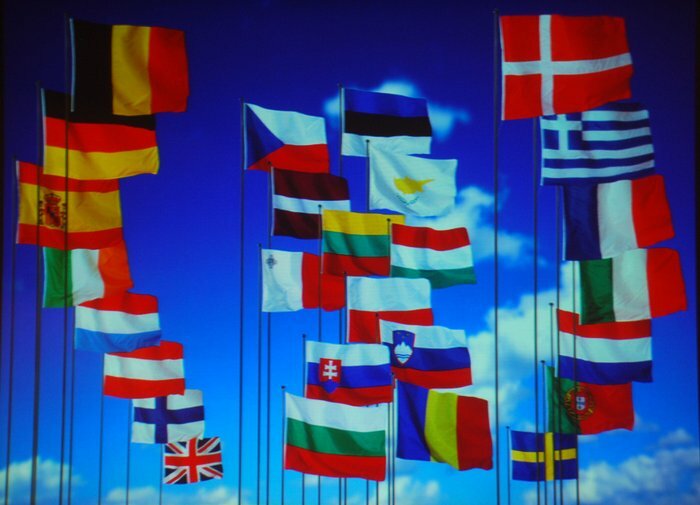 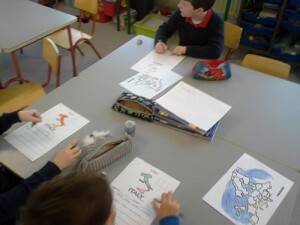 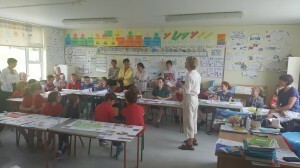 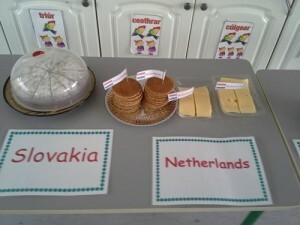 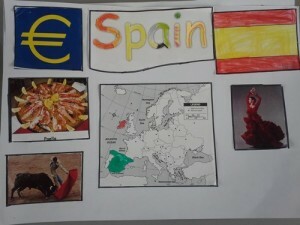 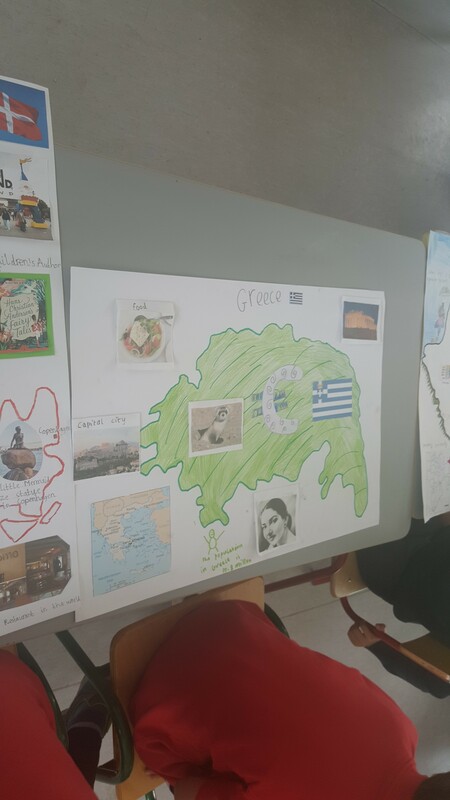 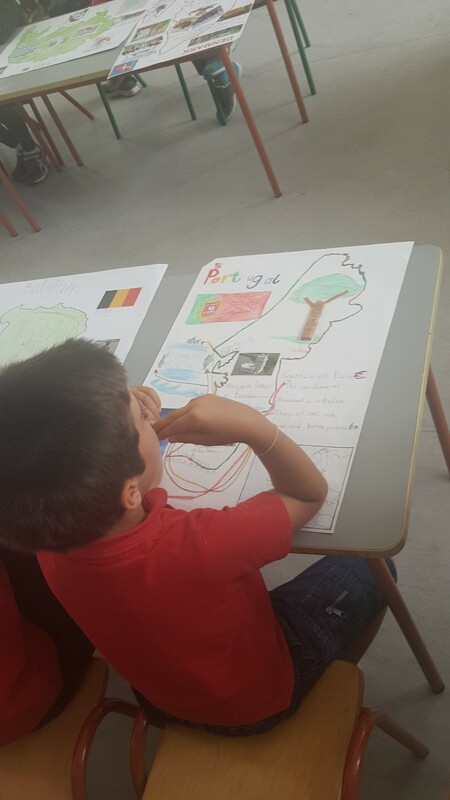 Today we celebrated Europe Day in our school. 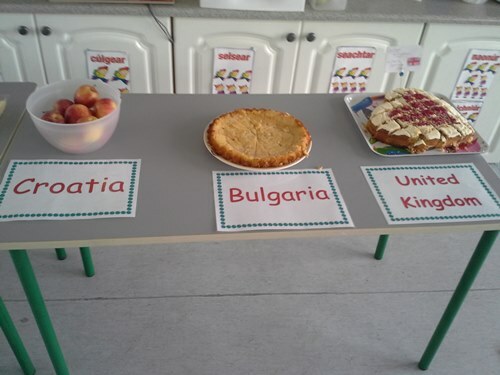 Each child was assigned a country. 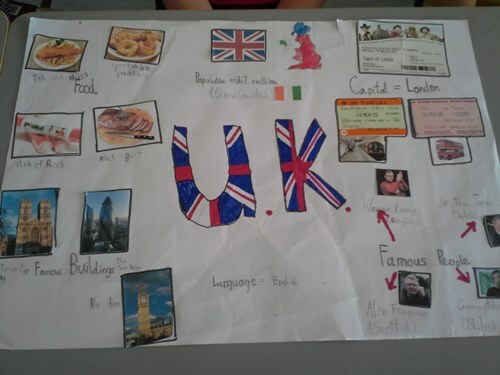 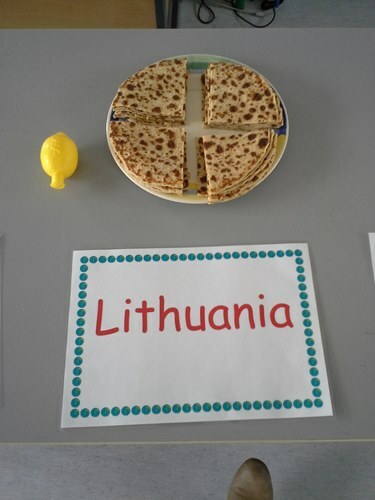 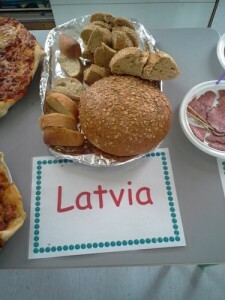 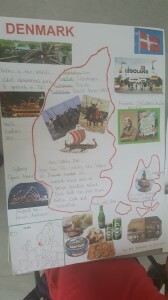 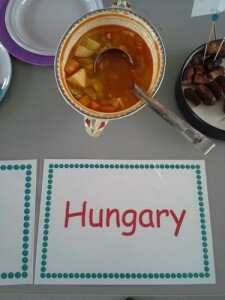 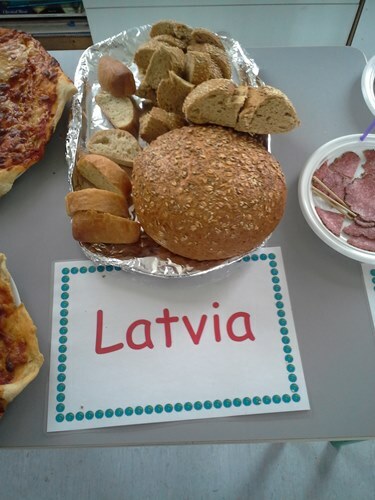 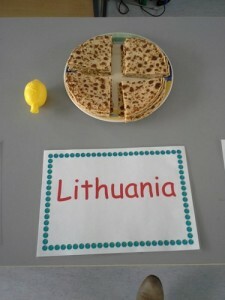 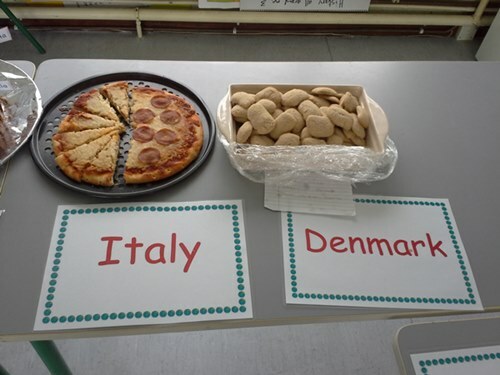 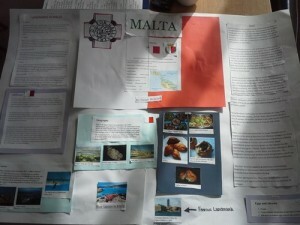 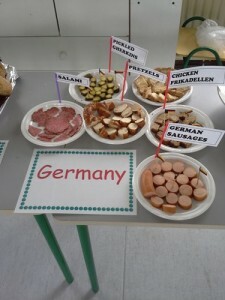 A project was created on the country and a food from that country was made and displayed. 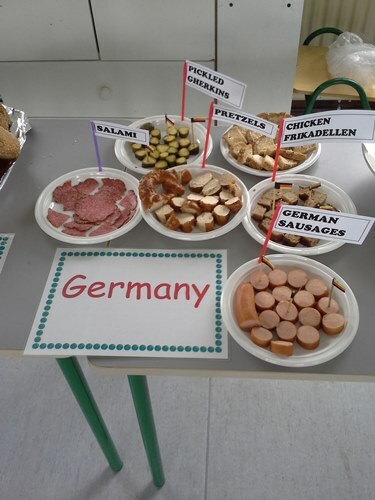 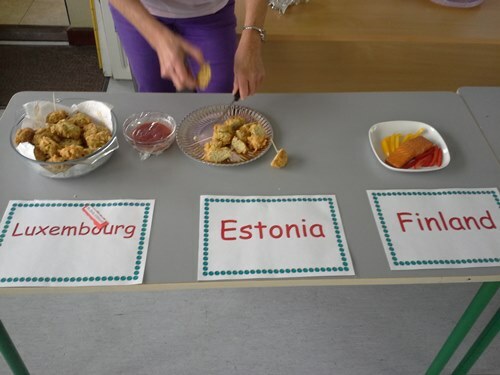 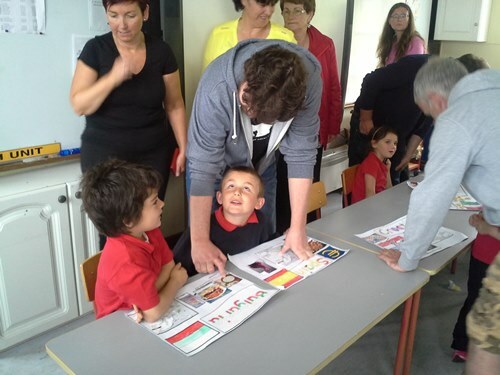 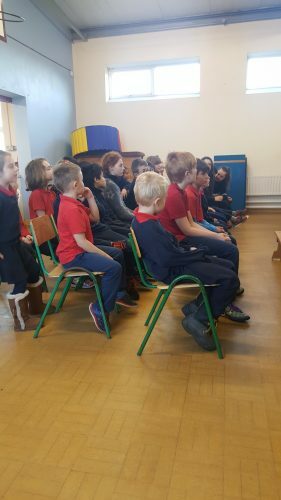 Following the presentation of the projects, everyone got to sample a range of sweet and savoury foods from the different EU countries. 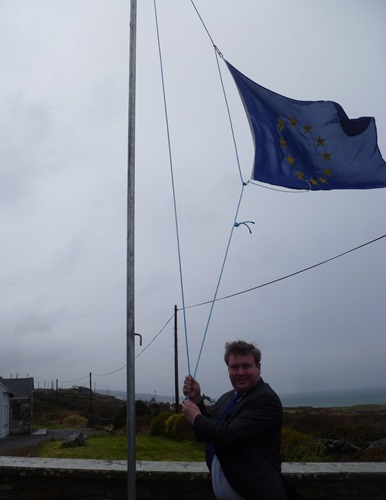 Congratulations to all our pupils and teachers on achieving their 4th Blue Star Award for their continuous work on the EU. 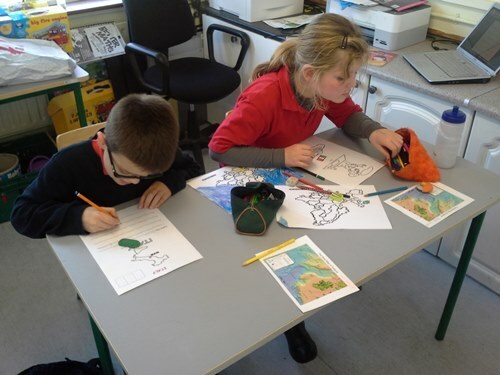 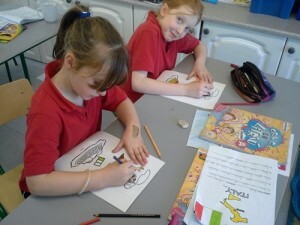 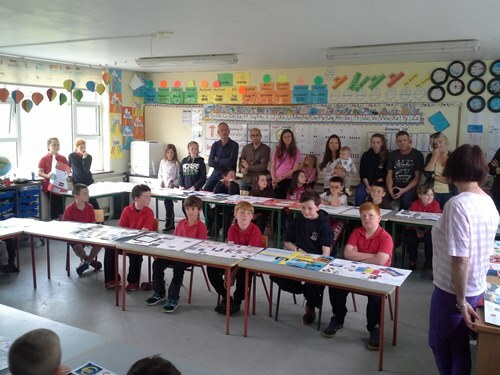 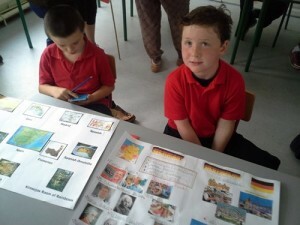 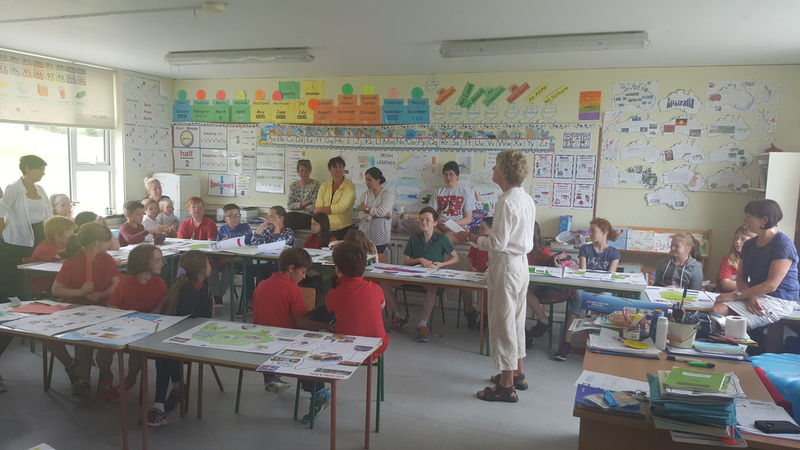 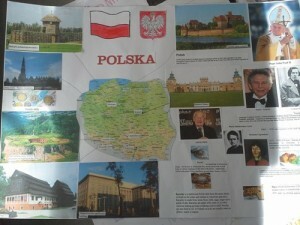 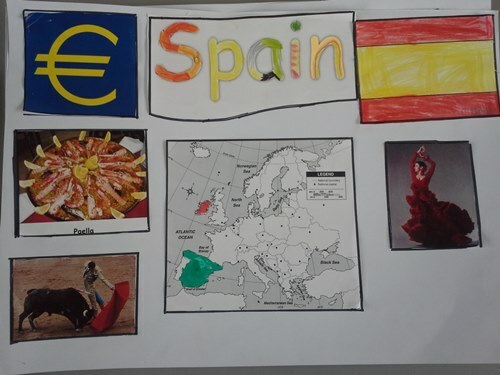 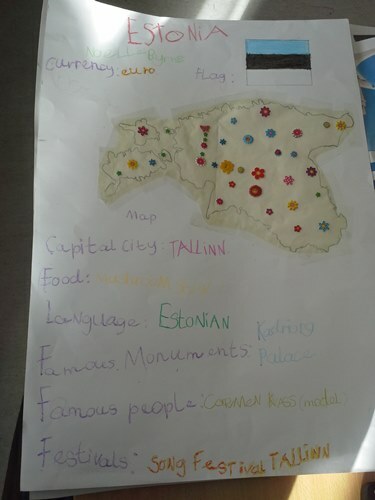 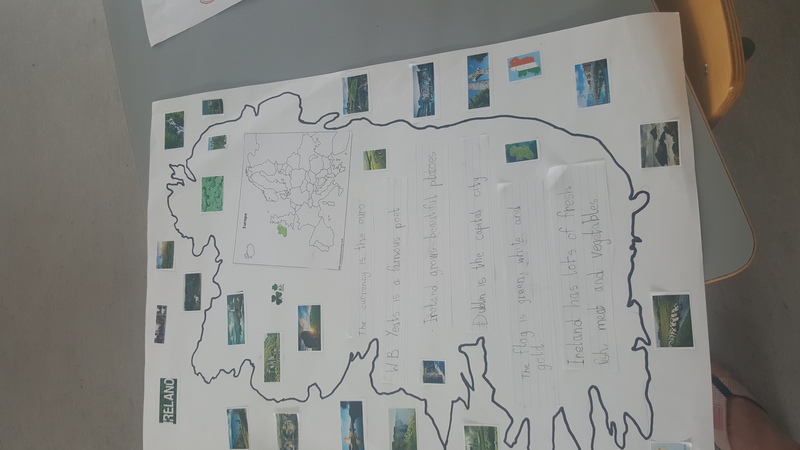 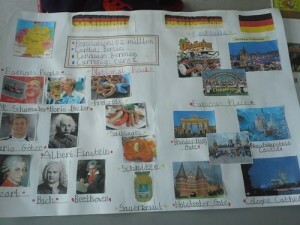 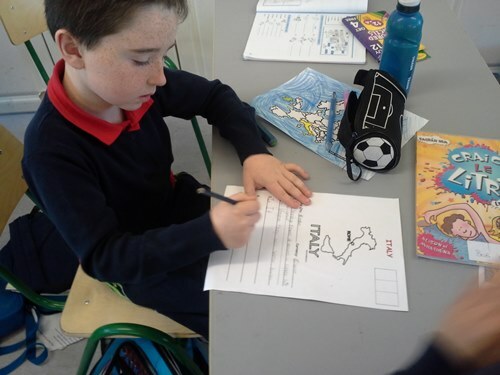 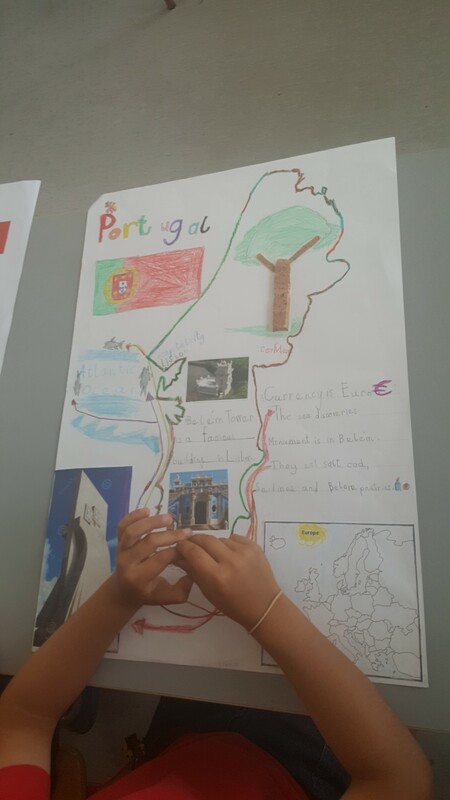 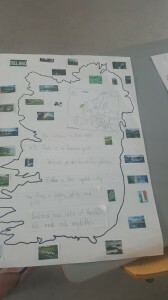 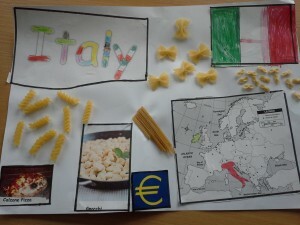 Well done to our children who each completed a project on an EU country. Fantastic work and superb effort put into each and every project! 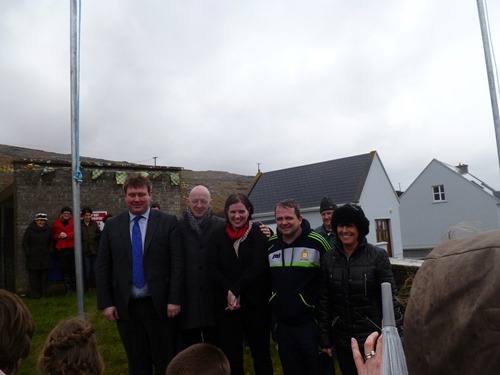 Work is ongoing on our Blue Star programme. 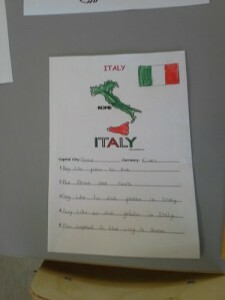 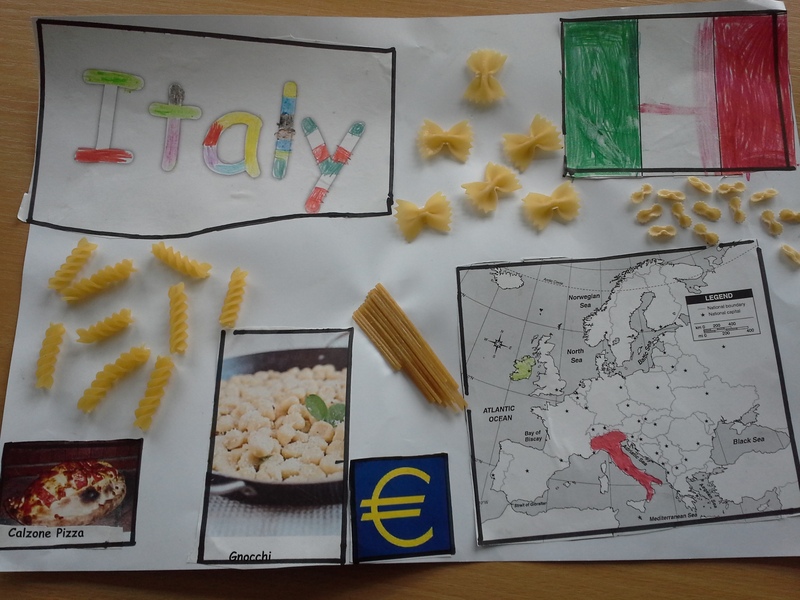 Country of the week was Italy! 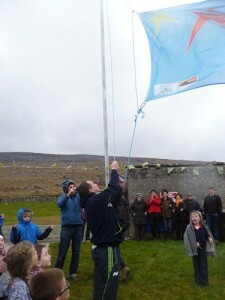 We have just got word that we have received our 3rd Blue Star Award!! 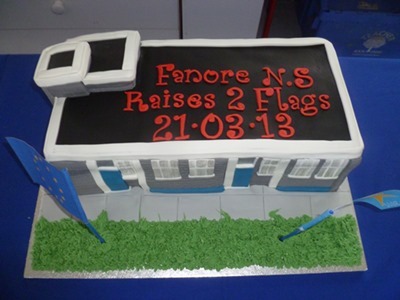 We have just received our 2nd Blue Star Award. Well done to all our children! Today, we raised our two flags! 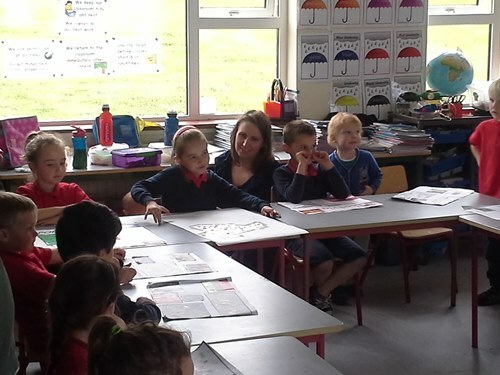 Many thanks to Senator Martin Conway and Davy Fitgerald for taking time out of their busy schedules to come to Fanore. Many thanks also to our wonderful parents and members of the community who helped make this day a special one! 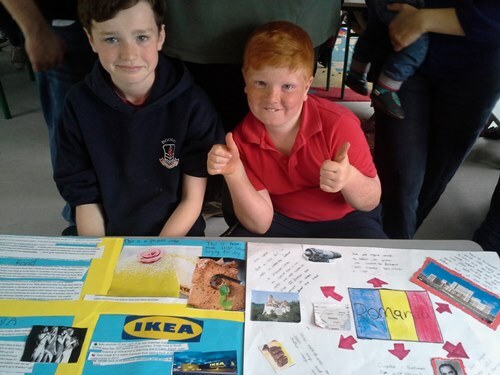 Also a big thank you to all our pupils for all their hard work and dedication to the projects without which, we would have not achieved both of these flags!! The moment we had been waiting for!!!! 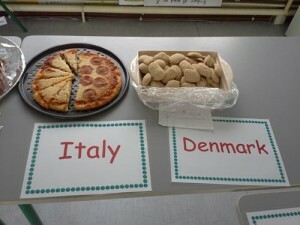 And our treat for the day!